Fintech brand PhonePe just launched its campaign for IPL 2019 with Aamir Khan as its face. 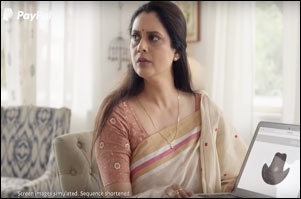 However, amongst the things that caught our eye in the #DadduGublu campaign, was the rather swift swipe it took at another well-known industry player, a rival, in fact - Paytm. The Paytm colour theme and fonts are hard to miss. In one of the ads, the Paytm-like app is shown as an inconvenient and time-taking wallet-based platform against PhonePe's faster and user-friendly UPI (Unified Payments Interface). Lowe Lintas Bangalore crafted the campaign. According to reports, originally a Flipkart subsidiary, the three-year-old PhonePe will soon be set up as a separate entity. The brand initially rolled out teaser ads of its association with Khan. Soon, we noticed other brands, somewhat unrelated, like KFC and Ola cabs promoting the campaign on social media. That's because PhonePe has found a way to include a host of other mobile apps onto its platform without compromising much on quality. Sameer Nigam, the brand's co-founder, claims that despite 'almost no promotion' around its 'apps' feature, users have understood its value. We saw a similar aggregation model while analysing Just Dial (JD) for a story. However, JD would take users off the platform and to the third party app (say Ola). PhonePe launched the "apps" feature in 2018 and boasts of over 30 apps on the platform including Ola, Myntra, IRCTC, Oyo etc. Nigam claims that PhonePe has over 50 million monthly active users. With this, individual apps of food brands like Behrouz and OvenStory, that would usually find it hard to compete against the Swiggys and Zomatos, can reach a wider consumer base with ease. "Brands are working with us as they enjoy access to a captive audience of over 100 million people who regularly transact on the app. It is a win-win for both consumers as well as companies on PhonePe," Nigam explains. He reveals that PhonePe has evolved from supporting apps built in-house to an open ecosystem supporting partner applications - m-sites and PWAs (progressive web apps) among others. This allows partnerships with a variety of brands and more categories. "We have simplified the integration process and have launched seven apps in the last week. In early 2018, it used to take us at least a month to launch one app. The credit for this also goes to early partners like Ola, MakeMyTrip etc. whose feedback has helped us improve," Nigam says. PhonePe will be launching customised apps and exclusive products on the platform in the coming weeks. 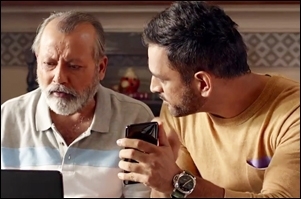 Getting back to the campaign, PhonePe has highlighted the safety of online payments while projecting UPI as the user-friendly option against digital wallets, in its three ad films. While UPIs allow direct bank to bank transactions, wallets need to be refilled via other payment methods like debit cards etc. While poaching Paytm's users would be quite a feat to pull off, PhonePe seems to be aiming at a wide TG bracket, i.e. the little kid Gublu (an extreme) to the elderly Daddu (another extreme). Daddu's projection as a fintech-literate individual, points out that the senior crowd are also in the game. One of the ads also highlights the safety of transactions on PhonePe. Not so long ago, US-based digital payments company, PayPal also presented the elderly-safety mix in its first ad campaign for India. PayPal India - Shop without worries. Safe Hai! The brand is banking on the celebrity endorsement to generate recall and to reach users across India. Regarding PhonePe's TG, Nigam says, "While the urban populace has taken to digital payment solutions, there is huge scope for growth and expansion in Tier 2, 3 and 4 markets. Our aim is to introduce digital payment solutions, including UPI, to a billion Indians." The campaign is the brand's first major ad outing in the three years of its existence. "Before we got into mass-media advertising, we wanted to reach a certain scale and have a solid product in place. We are in that space now and have amped up our marketing initiatives by associating with Aamir Khan as well as VIVO IPL 2019 as the official co-presenting sponsor for the TV broadcast," says Nigam. Rahul Vengalil, founder - WhatClicks considers the ad a direct dig at Paytm. "Even though UPI has created infrastructure in India, it has not done enough to educate consumers on its safety and security. It is riding on PhonePe rather than the other way around," Vengalil adds. "The mobile space is limited and apps take a toll on a phone's performance. Different brands are looking at different solutions to address this, including the attempt at having multiple apps within. Unlike cashbacks, it is the convenience that is permanent." On the usage of Aamir Khan, Vengalil says, "The story/script doesn't stand out with these TVCs. What the brand should have done is create a series of communications to showcase the use cases for PhonePe across payments, in-brand apps, nearby solutions etc. These would have given the brand the fillip that it would have wanted instead of just creating a 1+1=2 equation." 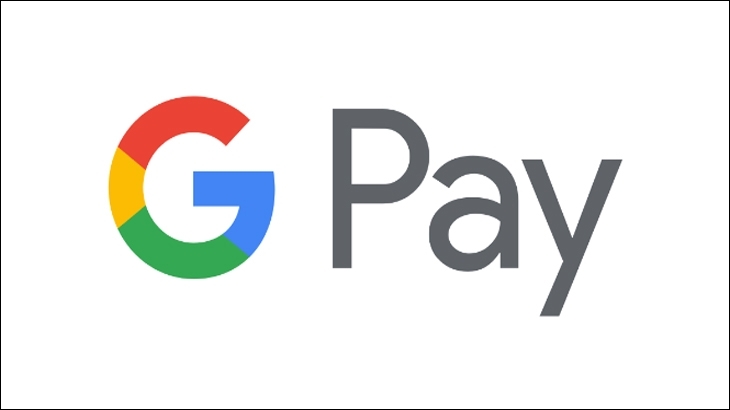 Pravin Sutar, ECD, Dentsu Webchutney says that it was only a matter of time before someone took a dig at Paytm. "Aamir Khan's sarcastic tone has added charm to the cheeky shot. Using a child-grandpa duo pretty much covers everyone in between and highlights the ease and safety aspect of using the app - the usual points of concern. Also, with the duo, the innocence comes free," Sutar adds. "Usage of UPI is faster and more seamless. Every film specifically mentions it; the safety aspect and even the ease of usage would surely make a viewer feel like using UPI is way easier than using a mobile wallet," Sutar states regarding the UPI vs Wallet narrative. "PhonePe has been relatively silent in comparison to others, but they've made a point now. Effective usage of a celebrity, clear, clever and humorous communication all packed into one. Also, the associations they've made with other service providers is a big plus point. Maybe they could've highlighted that a bit more," he concludes. Speaking on PhonePe's dig at Paytm, Saurabh Uboweja, CEO - Brands of Desire, a management consulting firm, says, "PhonePe is highlighting the competitor's weakness in a witty way to differentiate and highlight its strength which is ridding the need to load your wallet for a banking transaction. Amir Khan is a powerful influencer and he is able to drive the distinction between PhonePe and Paytm with ease." He adds, "UPI has the de-facto edge for consumers who wish to use their banking accounts or debit cards to transact as opposed to using credit cards. It is simple, faster and more convenient." About PhonePe onboarding partner brands on its 'apps' platform and the brands' joint communication, Uboweja says, "Partnerships are the way to go for brands to help each other grow. It helps the associated brands to drive buying choices and hence, growth."